Ready for another fun way to review sight words? 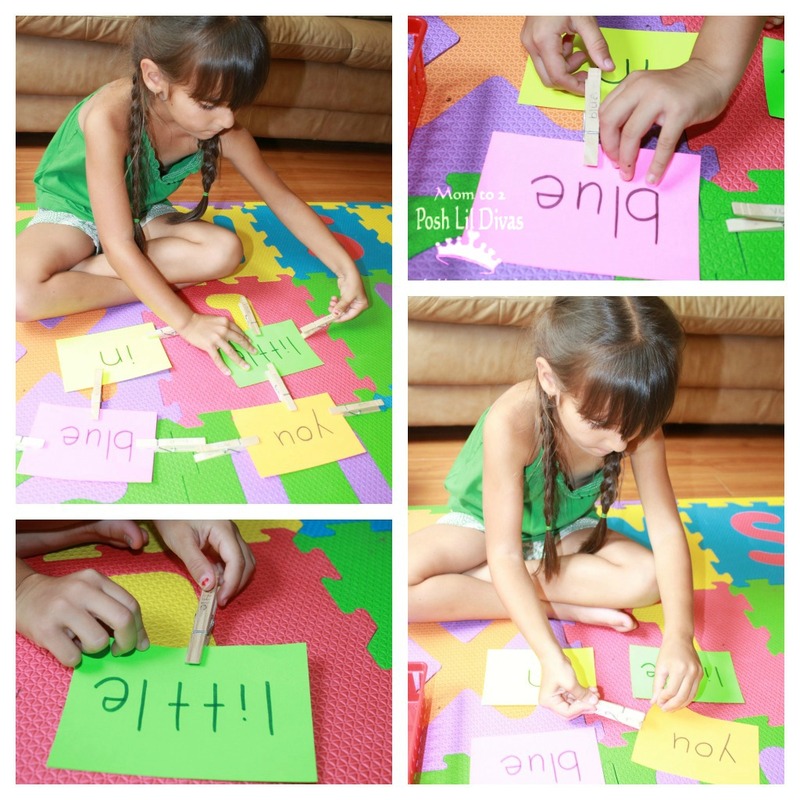 One of the best ways to learn those pesky sight words is via repetition. Yet, the sit & drill method simply doesn't appeal to many kids. It certainly doesn't appeal to my Lil Divas and to be honest it doesn't appeal to this Mama either. Why? Plain and simple - it's BORING! Yes, I find it as boring as they do to sit and show them card after card. Don't get me wrong, we do review sight words by drill but... I spice it up. I make it fun and I always add a little twist to keep things not only exciting but to include different methods of learning as well. The more a child is involved in the learning process the more they will actually retain. So instead of sitting and drilling card after card, get them moving. Get them involved in touching, feeling, speaking, etc. It will make the experience so much more meaningful for them and you will be amazed by not only how present they are during the activity but by how much they retain. Today, I am going to share a quick activity that will appeal to your kinesthetic learners (those that learn best by touching, feeling and experiencing things by hand) and doubles as great fine motor practice. I have found that during these early years, many children learn best this way. They are very tactile, experiencing the world by touch. This is why hands-on activities are so important for children. 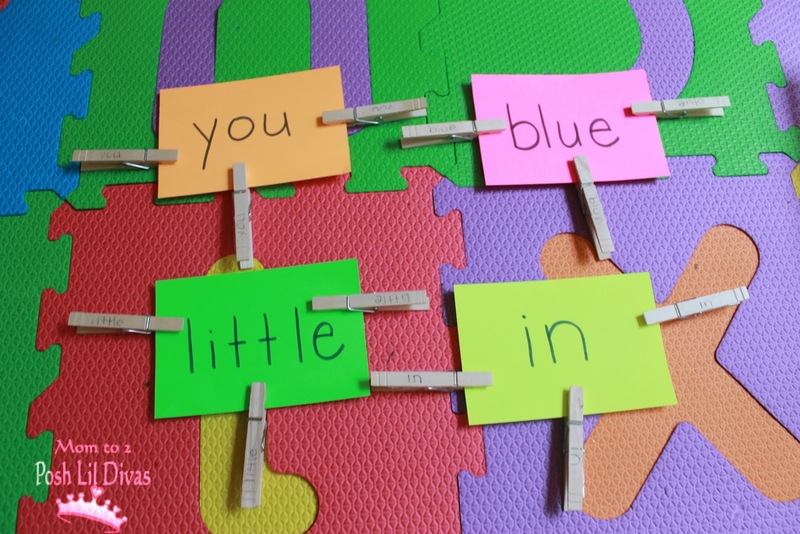 Note: To make this re-usable I used clear tape on the clothes pins to write the sight words. Next time I want to use them all I have to do is remove the tape! 2. 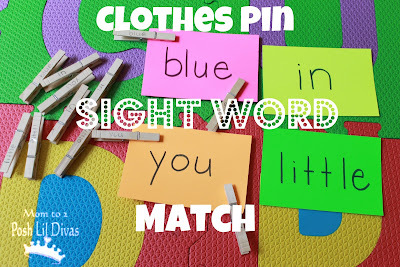 Add tape to your clothes pins and write your target sight words on the pins. I made 3 pins for each sight word. Use what would work best for you and your child. 3. Place the index cards on a clear surface where child can easily reach and see all words/cards. 4. Have child read the words on each card. We played a quick game of Slap It! to review the words. It is always a hit. 5. Place the clothes pins near the child, with words facing down. 6. Child will pick up a random clothes pin (1 by 1), read the word, match it to the correct index card and pin it on the card. 7. Repeat/Continue until all pins have been placed on their corresponding index card. How would you use this particular activity? Love looking through all your 'sight word' ideas. It's so great to have kids learning through play. thank you Michelle. 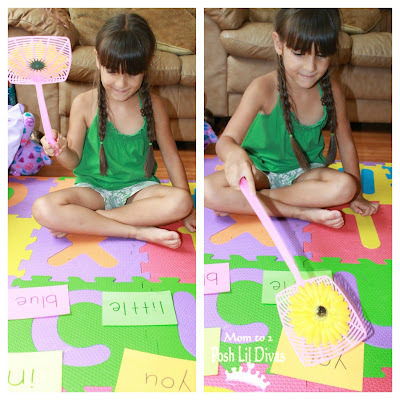 I find it's the best way to keep my girls interested at this young age, especially during the school year when they are bogged down with regular school work/homework. 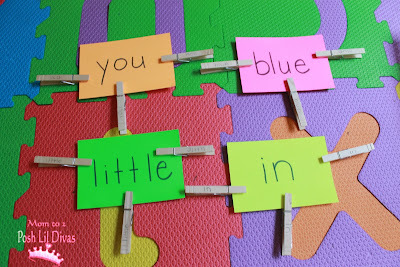 I love this simple idea for site words! Thanks for sharing on It's Playtime! I'm Pinning this one right now! Cute idea! We've never played with clothes pins before--very cool! I love the idea of using the tape too. Thanks! You do come up with great educational games. Wonderful!